Martyn Hilbert's Railway Photography - Branch Lines - 153316 Barrow Haven. Northern Rail Class 153,153316 arrives at Barrow Haven with the 11.58 Barton On Humber to Cleethorpes service on the 23rd April 2011. 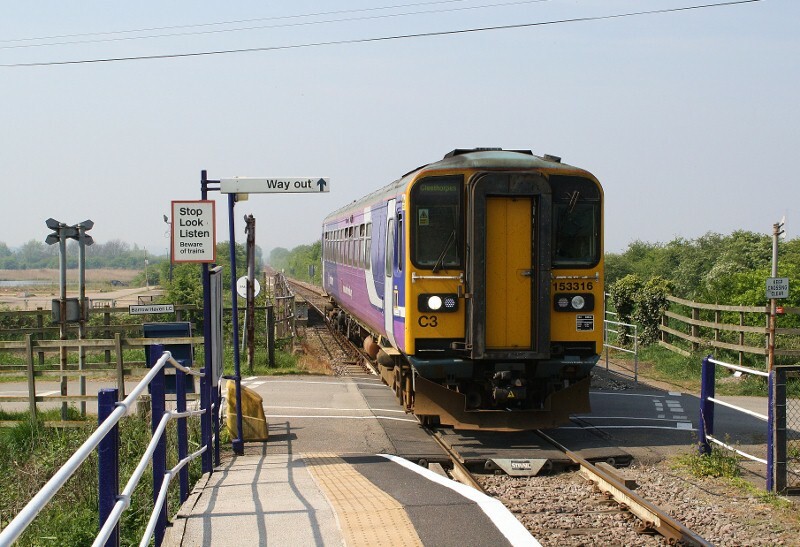 The single platform station is in a lonely spot, close to the South bank of the River Humber.